What is Cardiovascular Intervention and what procedures are involved? Using minimally invasive procedures, special devices are placed in the heart to correct developmental defects. For example, abnormally narrow heart valves can be widened to improve blood flow, ‘holes in the heart’ can be closed and even biopsies of the heart muscle itself are possible. Because extensive training, knowledge and experience are required, only a few referral centres can offer Cardiovascular Intervention procedures. 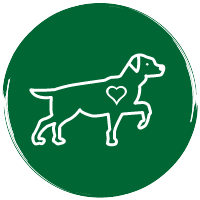 Davies Veterinary Specialists is one of the only Veterinary referral centres in the UK which has cardiologists trained to carry out the procedures. Extensive facilities are required, included operating theatres equipped with fluoroscopy (real-time X-ray). Our cardiologists also possesses significant experience with Transoesophageal Echocardiography. This is a heart scan performed by inserting a special probe into the oesophagus. It provides high quality real-time images of the heart during procedures. Transoesophageal Echocardiography is beneficial for both the patient and our team as it reduces procedure time and, more importantly for the patient, exposure to X-rays.